Nothing makes for a better companion than a dog. Not only are dogs loyal; they’re also pretty smart. You can teach them special tricks, you can take them to the park, and they make any dull day extra special. All dogs are precious, so you want to take care of them in the best possible way. From feeding them properly to training them, the way you raise them impacts their behavior as grown-up dogs. Keep reading to learn how to raise your new puppy properly. Since your puppy’s body is growing and requires food that’s rich in protein and calcium, you can’t feed it any food that’s for adult dogs. Look for food that’s specially formulated for puppies, and look for a statement from the Association of American Feed Control Officials (AAFCO) on the packaging to tell if the food meets your pup’s nutritional requirement. Large breed dogs should be fed with puppy kibbles until they turn two years old. On the other hand, small and medium-sized breeds can switch to adult dog food between 9 and 12 months of age. Make sure that your pup has adequate water throughout the day. Training your dog to develop good behavior as early as possible will save you from lots of trouble down the road. You have to teach your puppy obedience by teaching it to obey simple commands such as stay, down, sit, and come. If you don’t have any experience with obedience training, you can look for classes for dog training in Utah. These classes can serve as bonding between you and your dog as well. You also want to teach them a bathroom routine because nobody likes stinky carpets at home. You need to be patient, use a lot of positive reinforcement like treats, and plan. If your puppy hasn’t had a vaccination, you need to find an outdoor place that’s inaccessible from other animals. This will prevent the spread of diseases and viruses. From day one, you need to find a good vet to take your puppy for an overall health checkup. A vet will tell you any pre-existing health condition, required vaccinations, proper diet, spaying or neutering, and more. 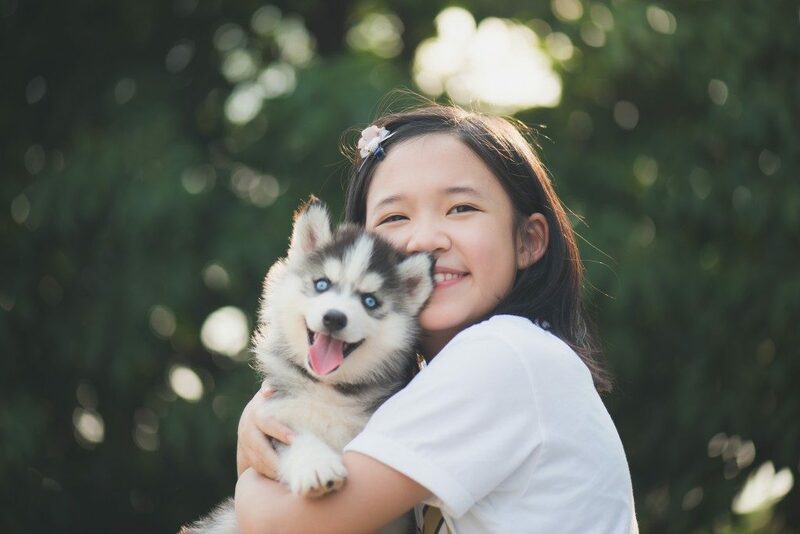 While these requirements are generally the same for all puppies, your vet will also consider the age, breed, and any current health or behavioral issues to make tailored recommendations for your puppy’s needs. They say that getting a new puppy feels a lot like having a newborn baby. It takes patience, commitment, and a lot of love to care for your new household member. But in return, you’ll get lots of fun, love, and maybe licks on the face!